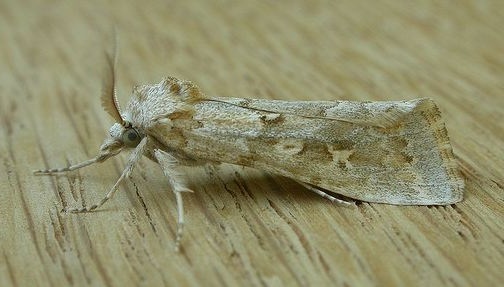 The adult moth of this species has pale brown patterned forewings, and even paler hindwings. The wingspan is about 2 cms. Moths of Australia, Melbourne University Press 1990, fig. 49.8, p. 462.